From you. To us. To others. Join our community and stay up-to-date with our newest arrivals and latest insider style wardrobes. 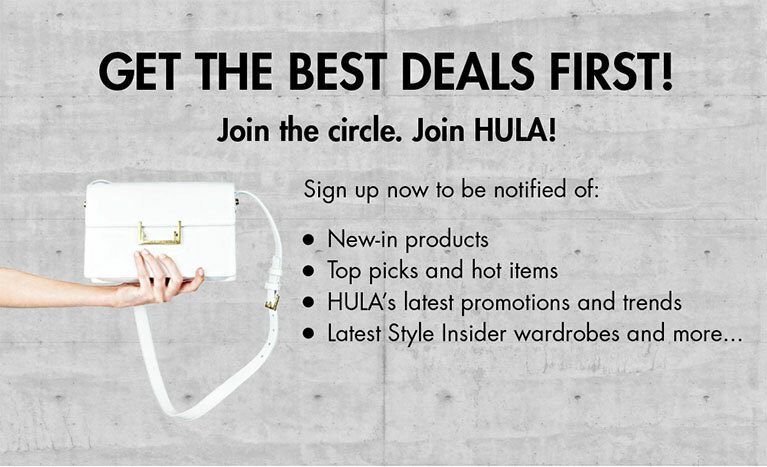 Join the circle, Join HULA! Please check your email for your a link to reset your password. Please join or be signed in to use this. Thank you for using HULA, we currently do not have you registered as a seller. Please email Hello@thehula.com to enquire. Pleease input the number of items and roughly the type of brands and categories you have to sell. Please note: we ONLY take 100% authentic designer pieces and will alert authorities if we receive any fake goods. If you are unsure, please do not include them! Liberty Asia is a project under Share (Asia Pacific) Limited, a HK-registered charity, that aims to prevent human trafficking through legal advocacy, technological interventions, and strategic collaborations with NGOs, corporations, and financial institutions. Food Angel rescues edible surplus food from different sectors of the food industry that would otherwise be disposed of as waste. Following strict safety protocols, the rescued food items will then be prepared as nutritious hot meals in their central kitchen and be redistributed to serve the underprivileged communities in Hong Kong. Habitat for Humanity's vision is a world where everyone has a decent place to live. Anchored by the conviction that housing provides a path out of poverty, they advocate to improve access to decent and affordable shelter, and strive to help families in disaster-prone areas through home building, rehabilitation and repairs. The mission of Redress is to promote environmental sustainability in the fashion industry by reducing textile waste, pollution, water and energy consumption by working with the industry to provide educational sustainable fashion design competitions, exhibitions and seminars. Maggie's Centre provides practical, emotional and psycho-social support for people with cancer and their families and friends, offering a full programme of support that has been shown to strengthen physical and emotional wellbeing. No need to join us as you are already a member of HULA! Oops! It seems you are already a member of HULA! Oops! It seems you are already a selling member of HULA! ©2016 THE HULA LIMITED ALL RIGHTS RESERVED. HELP US, TO HELP YOU! By closing the site may loose the items saved in your shopping basket. If you are still interested in the items, make sure you buy it before some one else does!